You Can Have This Banana Delight On Your Table In A Snap! Bananas are my absolute favorite fruit. I love that they are portable and easy to take with you, and they match with anything from sweets to salty food. They are filling and totally delicious. I know they are healthy, too, but I especially like to mix them up with unhealthy foods such as, well, ice cream. And Pasta. And French toast. Oh yes, French toast must be my favorite way to enjoy these. You are going to enjoy them just as much when you try this recipe! 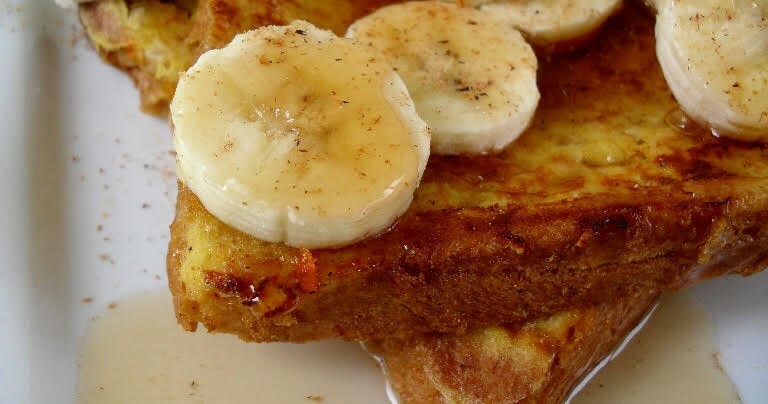 This recipe is a classic French toast recipe, and tastes totally delectable, yet is completely easy. You do not have to worry about how hard it is to prep these. It is straightforward and I guarantee you will not have a hard time with it. Now, when you taste this with its caramel sauce over the top and those sweet bananas giving it the perfect topping, you are going to know exactly what I am talking about. This is easy, delicious and the perfect meal to serve on a lazy Saturday morning at home or a little Sunday brunch get together. You will be the talk of the town with this one! Photo and recipe courtesy of Celebrating Sweets. Quick Tip: Add any other fruit you’d like on this. Pineapple goes really well.